A survey of the life and work of the 2001 Nobel Laureate for Literature, V. S. Naipaul, Man and Writer introduces readers to the writer widely viewed as a curmudgeonly novelist who finds special satisfaction in overturning the vogue presuppositions of his peers. Gillian Dooley takes an expansive look at Naipaul's literary career, from Miguel Street to Magic Seeds. From readings of his fiction, non… fiction, travel books, and volumes of letters, she elucidates the connections between Naipaul's personal experiences as a Hindu Indian from Trinidad living an expatriate life and the precise, euphonious prose with which he is synonymous. Dooley assesses each of Naipaul's major publications in light of his stated intentions and beliefs, and she traces the development of his writing style over a forty-year career. Devoting separate chapters to three of his chief works, A House for Mr. Biswas, In a Free State, and The Enigma of Arrival, she analyzes their critical reception and the primacy of Naipaul's specific narrative style and voice. 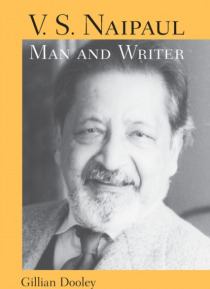 Dooley emphasizes that it is, above all, Naipaul's refusal to compromise his vision in order to flatter or appease that has made him a controversial writer. At the same time she sees the integrity with which he reports his subjective response to the world as essential to the lasting success of his work.